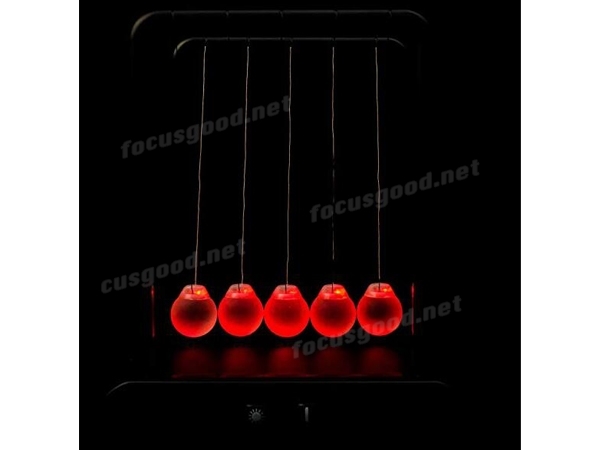 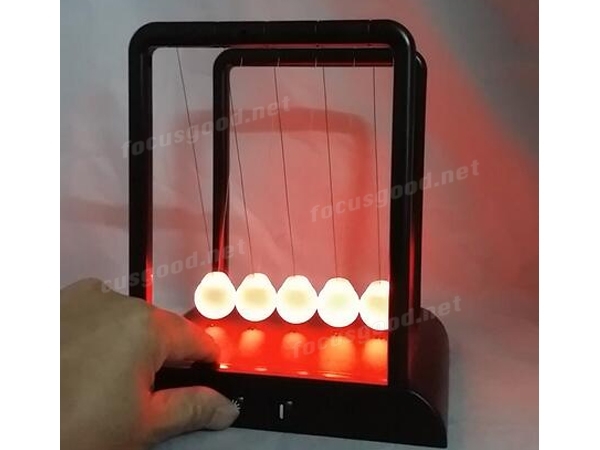 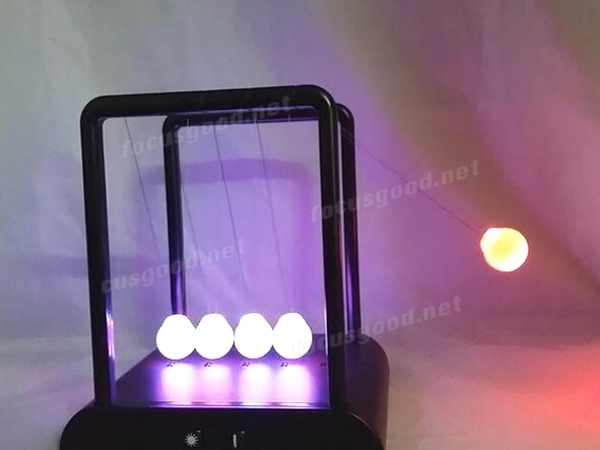 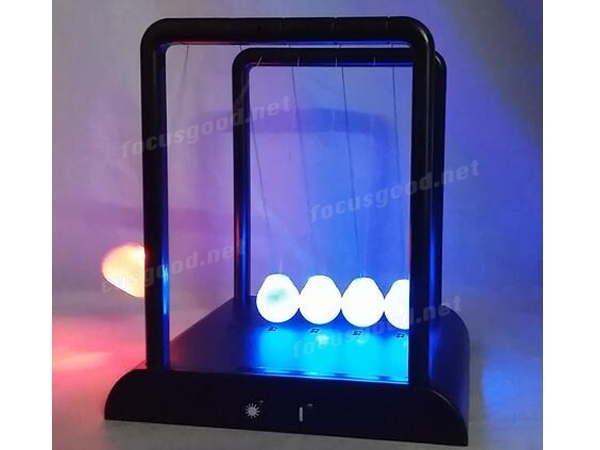 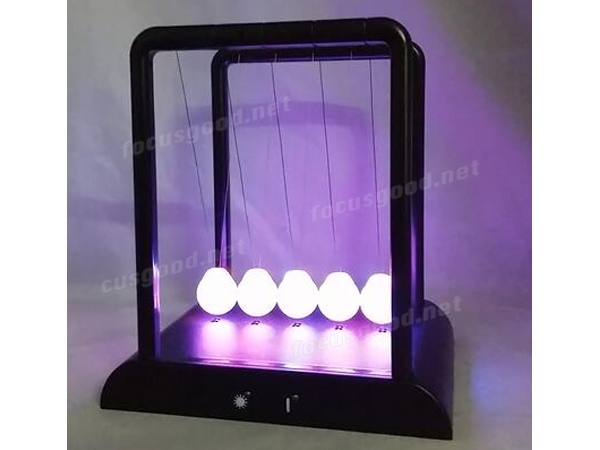 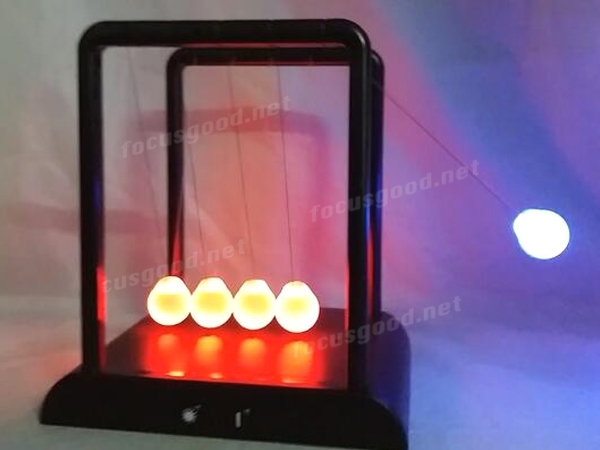 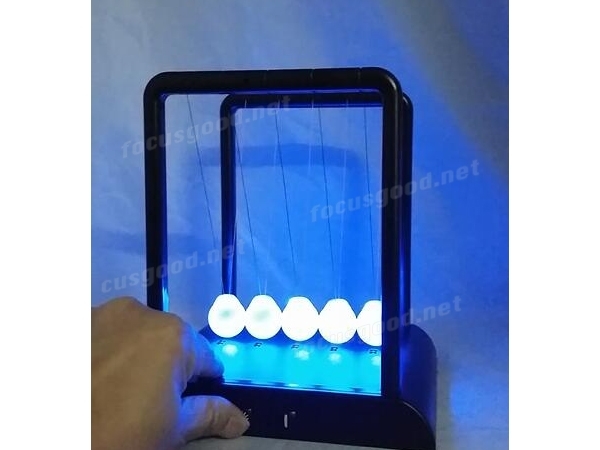 1.Illuminant LEDs change colors inside the glass spheres creating， in three colors, blue, red, pink. 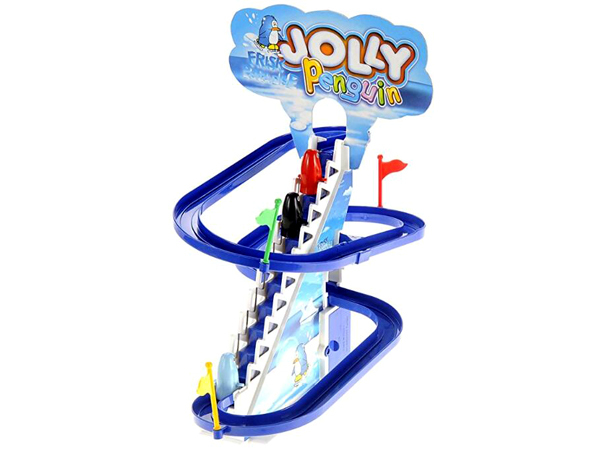 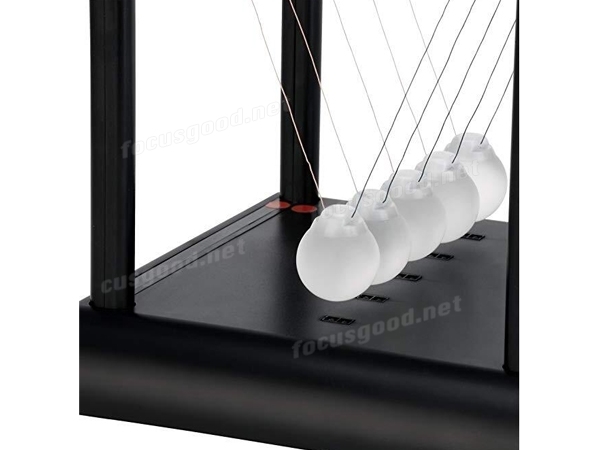 2.Each cradle has 5 glass globes. 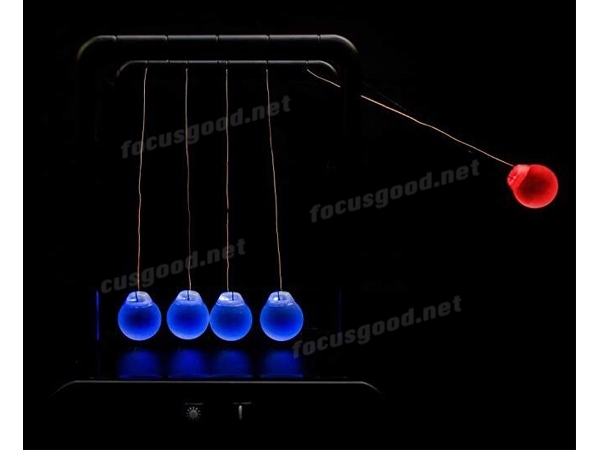 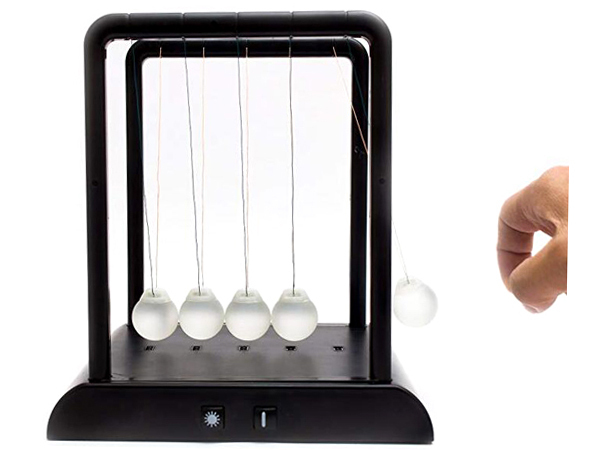 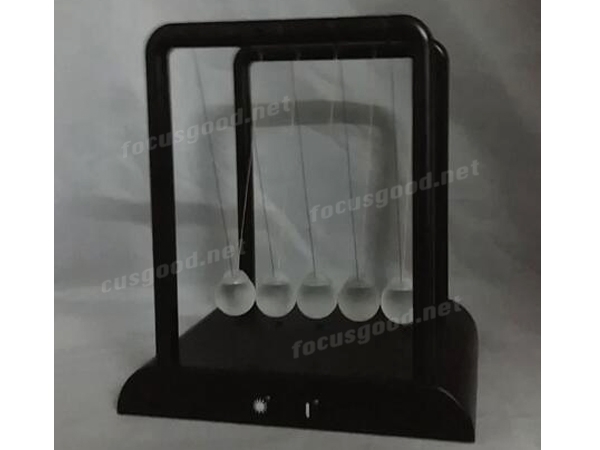 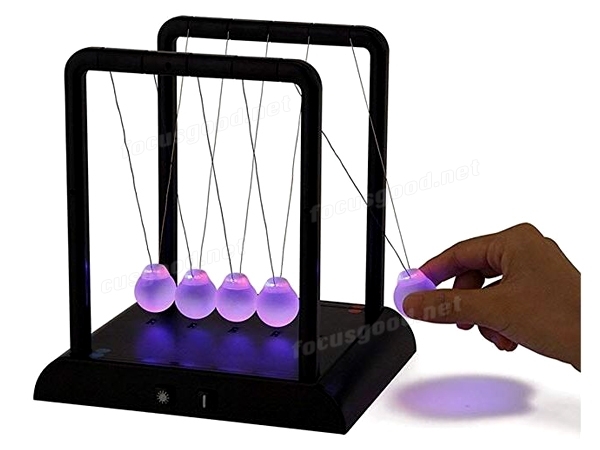 Easy to use and absolutely amazing Newton’s Cradle Balls.